The invitations went out across Europe and RSVPs piled in; our team were absolutely delighted to have so many customers join us at our launch party, which represented the culmination of several months of hard work, with collaboration between internal teams to land the three areas: new branding, new website and new showroom. Our new brand is based on a clean and modern font and a stylised hexagon, which is one of the key geometric shapes in nature. It is a shape which can be seamlessly connected and built upon, much like the Kesslers portfolio of disciplines, which work on their own and as part of a suite of key services that come together in harmony. Our colour scheme is fresh, modern and contemporary, with a nod to our heritage red in an occasional accent. Our office refresh is also complete and uses the dark blue and teal to freshen up the new space. The website is brand new and truly showcases our latest projects and customer collaborations. We have some great retail designs already featuring and some of the really exciting displays that we are working on will be updated as they land in stores across the globe. Traffic on the site is at an all-time high and we are so pleased that customers are logging on to see their fine displays given pride of place in our News and Projects sections. It has to be said that the stand-out star of the launch party was our showroom. Many hours of labour and love have gone into stripping out the old, tired and dark area to create a welcoming new environment where displays can shine. There is a fresh 'art gallery' feel to it and the layout and plinth designs allow breathing space for each of the installations, something which our creative team are really proud of. There are also now some fantastic digital capabilities in the digital lab area, which allow visitors to see a real-life application of some of the latest technologies. We have already got visits booked in for people who were unable to view it on launch day and we are certain to keep it up-to-date with all of our latest collaborations. We were thrilled to have such great interest in the event; 180 guests joined us and we were kept busy long after the party was due to finish with people enjoying the atmosphere! 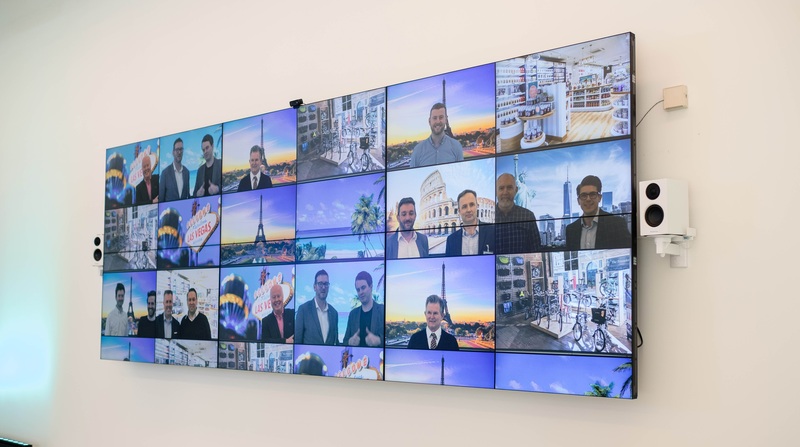 Our guests commented on the shift to a forward-thinking and truly engaged company, who are absolutely able to keep on top of current trends with a dynamic team at the helm. We couldn't be more pleased, as the objective of the rebrand was to ensure that our vision and ambition are reflected not just in our people, designs and processes, but also in our online presence and external perception. 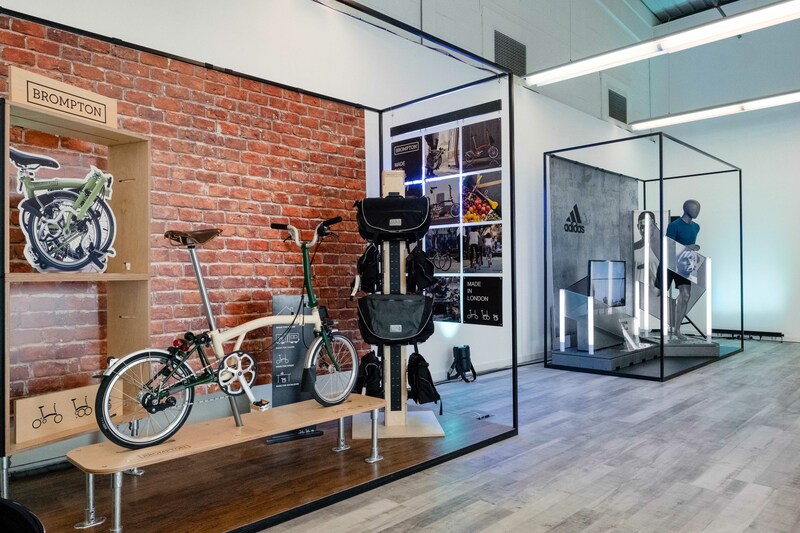 Innovation is absolutely at the forefront of the future of retail and the Kesslers team are proud to be part of the charge towards the new retail landscape. Daniel Astarita, Sales & Marketing Director, commented "I am delighted to see the brand relaunch come to life. 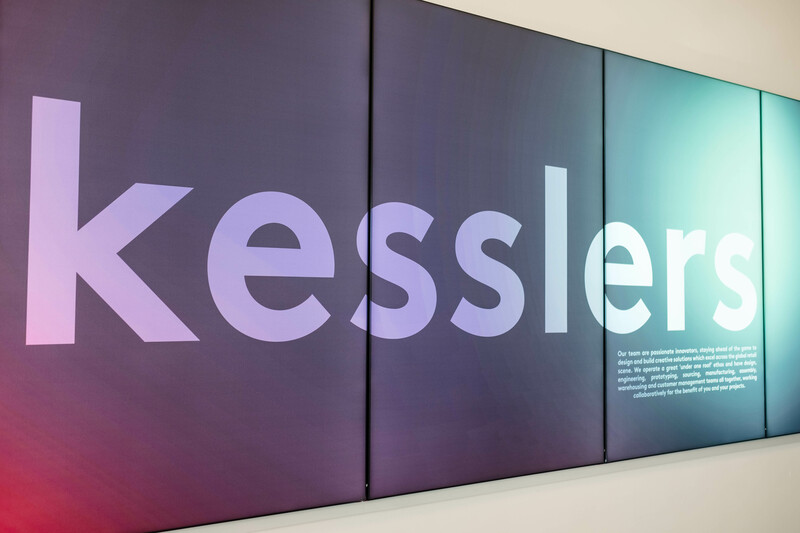 It is the result of a great collaboration between our internal teams to imagine a fresh new look for the Kesslers brand and take us to the next exciting stage in our journey. For me, the branding and showroom represent our simple and contemporary approach to projects and our innovative aspirations"
If you would like a showroom visit, please get in contact as we have a very enthusiastic team who are keen to give people the grand tour. We will be keeping our displays, technology and innovation refreshed regularly, so that the space continues to inspire our customers and shoppers alike for their next projects.